Under Construction! 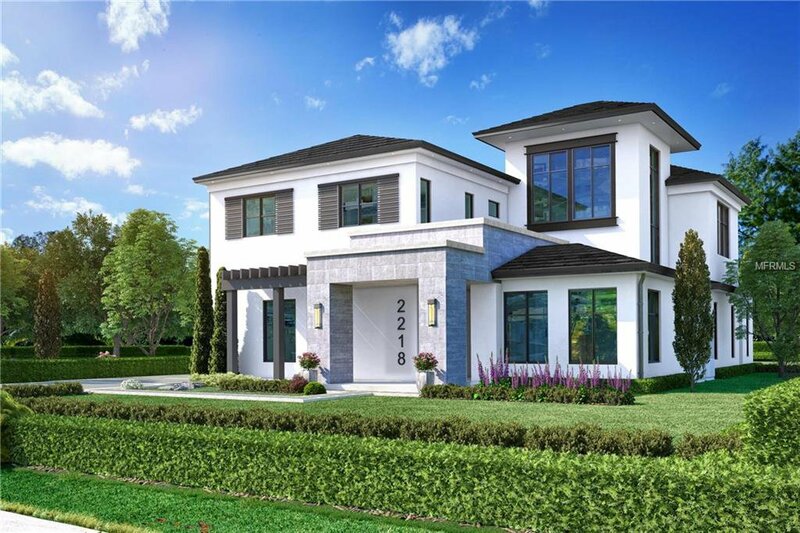 Welcome to this very special custom home built by Zoltan Homes. Situated in a prime location in Winter Park. 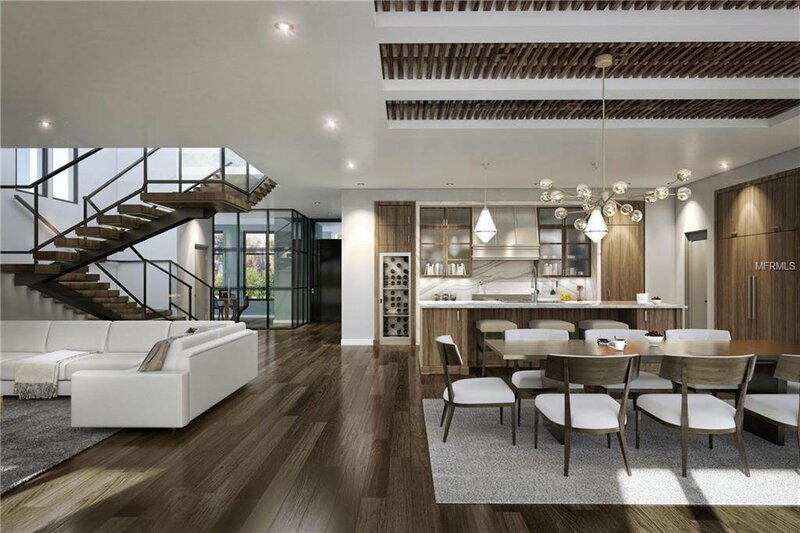 Tremendous open floor plan with over 11ft ceilings on the first floor and 10ft ceilings upstairs. Gorgeous wide plank oak flooring. Truly exceptional & detailed finishes throughout. Spectacular open staircase w/ ceiling height over 30ft tall. Fabulous living area with custom millwork surrounds a gas fireplace. The kitchen is a chef’s delight with numerous specialty features including a 11ft island with Cambria top, Sub-Zero/Wolf appliances, including a full size wine tower. 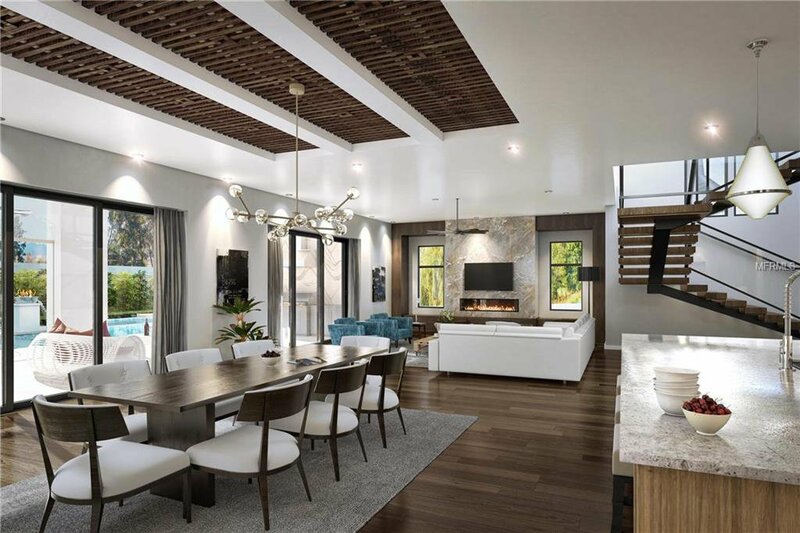 Seamless entry to the outdoor living area with an in-wall sliding doors extends to the large lanai with full summer kitchen and remote controlled automated screens. Enjoy the amazing heated salt water spa and pool with 3 fire bowls/fountains and surround by private lush landscaping. Secluded and spacious downstairs master suite overlooks the pool. Expansive walk in closet along with a private laundry room. Luxurious master bath with dual sinks and walk-in shower with digital plumbing controls. There is a downstairs 2nd bedroom/office private suite. Garage with epoxy coating and wall to wall built in functional storage. Fantastic upstairs loft with wet bar which is great for entertaining. As well, there are 3 great en-suites and a secondary full size upstairs laundry room. Interior designed by Steele Street Interiors. Enjoy all of this and just a short stroll to the Racquet Club… this is one not to miss! !